Social connection makes our brain better. We make this happen through community engagement, uncovering ideas for lasting change. Without political agenda or bias, we gather positively passionate people, who would never otherwise meet, and help them contribute to our city’s accumulated intelligence. A city is its people. You are this city. We know that solving our city’s problems and overcoming our city’s challenges brings our city closer to reaching its full potential. When our city moves closer to reaching its full potential, our city’s people move closer to reaching their own. The two are inseparable. That’s because our city—any city—is its people. This is where CityMakers come in—those who take initiative to make a positive change in their community. Our city is not a parcel of land within an imaginary line. Not a collection of roads, bridges and buildings. Not even a supply of services. Our city is the range of decisions and actions taken by people to make themselves and their neighbours happier, healthier, smarter and safer. Our work is entirely non-partisan: for and with the people of the city. For the public good. Ottawa is big, busy and beautiful. It’s stable, diverse and prosperous. It’s one of the best places anywhere in the world to live, work and raise a family. Help us love our city back. Share your great idea for Ottawa, here. Through workshops, engagement facilitation and consultation. We as people, organizations, and governments come together to create stronger local communities of place and people. Synapcity runs programs that empower people to make a difference, and make real projects by connecting CityMakers in Ottawa. We successfully facilitate civic engagement for diverse groups, key stakeholders and organisations. Together, they design and implement solutions. We call this Participatory CityMaking: active involvement that creates sustainable results. Sign up for our workshops where we empower people to collaborate and reach their full potential as an engaged resident in this vibrant, growing, positive community. See our alumni projects that illustrate how Synapcity has helped inspire and motivate people and groups to bring their ideas to life. Use our facilitation services where organizations, large and small, municipal and corporate, hire us to make their roundtables, public consultations and civic-building exercises powerful and insightful. Download our Community Impact Report for 2016-2017 for a detailed insight into some of our historical work. 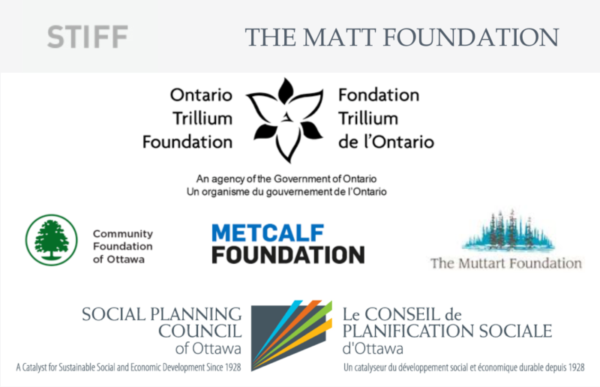 Our goal is to connect people for the sole purpose of making Ottawa even greater. The citizen is a co-creator of the city — and this is where you come in. Do you have an idea to make Ottawa even better? Do you want to learn how to use your skills to make your city more inclusive, innovative, and connected? Are you curious to learn how diversity leads to creative collaboration? We want to hear from you, join us!